Get $3 off my Valentine digital bundle set by using the code VALENTINE when checking out. 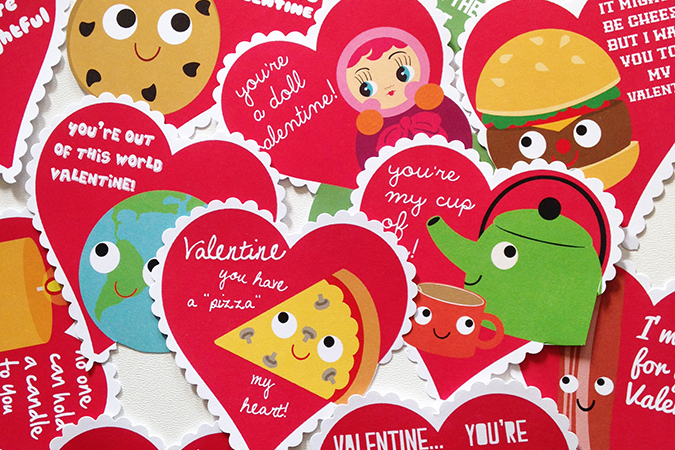 You’ll receive digital files containing 10 sheets of printable valentine cards. This kit includes all of my valentine cards from 2012-2015 in one bundle (including the two pages of anti-valentines) 60 different cards in all. A $25 value for just $15 with discount code. The valentines can also be printed onto iron-on paper to create banners, tea towels, goodie bags etc.